This is not the Yandex vehicle. This is the Olli car that was developed first with the same principals. Love it or hate it, you have to admit that Google is a pretty smart company. The small search engine has grown to be the top search platform, and has launched services for everything from maps, to email, to document storage, to health apps. Google’s Russian rival, Yandex, is pretty jealous and is perpetually trying to be as good or better than the giant American company. Recently, Yandex announced its plans to the world to build an autonomous car. Instead of focusing on a single family vehicle, though, Yandex is going to try and create a new form of public transportation, where riders will tell the vehicle where they want to go with a touchscreen. While many auto news sites see this as a challenge to Google’s superiority, this is clearly a departure from Google’s koala cars and equipped Lexus vehicles. In fact, when you think more about this project, the more it seems to resemble the Olli vehicle revealed back in June. 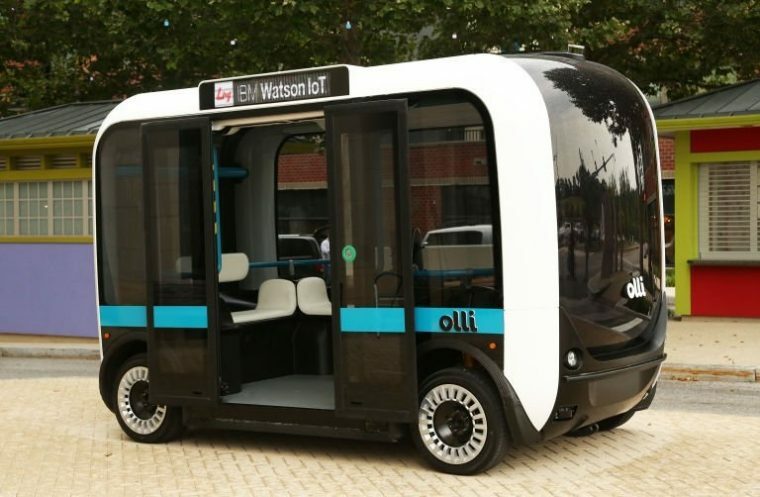 That driverless bus also has a touchscreen to communicate with the vehicle, but Olli has chosen computer AI Watson, created by IBM, to also interface with riders. This all just goes to prove all of those terrible Russian memes you see online. 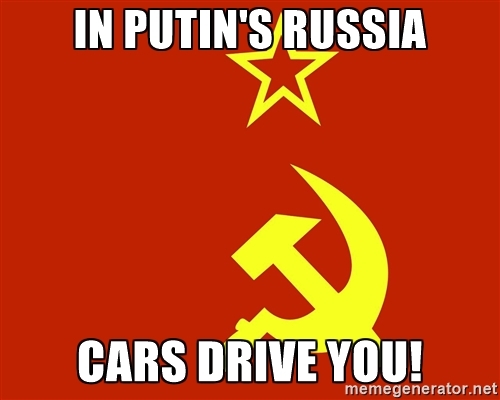 While it’s not Soviet Russia, clearly in Putin’s Russia, cars drive you. Although, to be fair, cars are also driving passengers around routinely in Japan and America, not just in the former communist country. Time will tell if Yandex will catch up to Google with its self-driving bus, or get left behind in the dust.